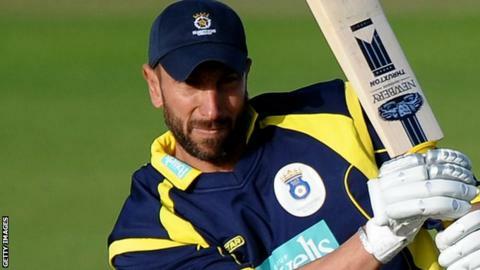 Guernsey boss Nic Pothas says he is pleased with the maturity of his side in World Cricket League Division Six, despite losing the event's final. Suriname beat Guernsey by six wickets to take the title, although Guernsey have gained promotion to Division Five with their appearance in the final. "There were contributions made across the board from everyone in the whole squad," Pothas told BBC Radio Guernsey. "The thing that stands out most is the maturity of a very young squad." Pothas continued: "It was nice as historically we're always hanging our hats on one or two players." Guernsey were bowled out for 237 with a ball to spare by Suriname, who the islanders had beaten in the group stages in Essex. Tom Nightingale, 17, top-scored for Guernsey with 65, while his older brother Ollie scored 59 as Gavin Singh took five wickets for Suriname. In reply, Singh hit 61 not out to win man of the match, while skipper Mohindra Boodram got 65 as Suriname reached their target with just under five overs to spare. "We're back to the path that we've set ourselves, which is to become a solid World Cricket League Division Four team," Pothas added. "You always want to win the trophy, you never play to come second, but it's a one-off. "If it was a a round-robin there'd have been no question we'd have come first."